If you report about someone accusing Bill Cosby of sexual assault, it’s a good idea to accurately identify the accuser in your reporting. Discrepancies between two Bill Cosby sexual allegation stories indicate something isn’t right—and for once, it’s not Cosby’s alleged conduct. 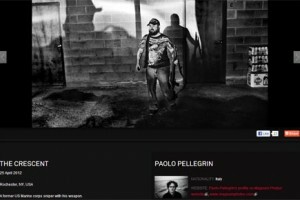 Paolo Pellegrin’s ham-fisted vision of gun violence in America damages his credibility and calls into question his journalistic ethics.